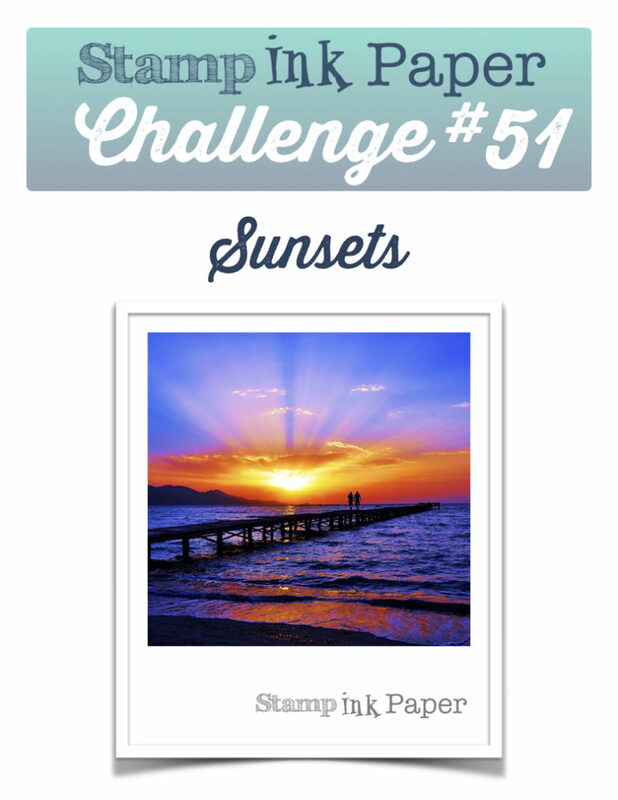 SIP Challenge 51 – Sunsets! 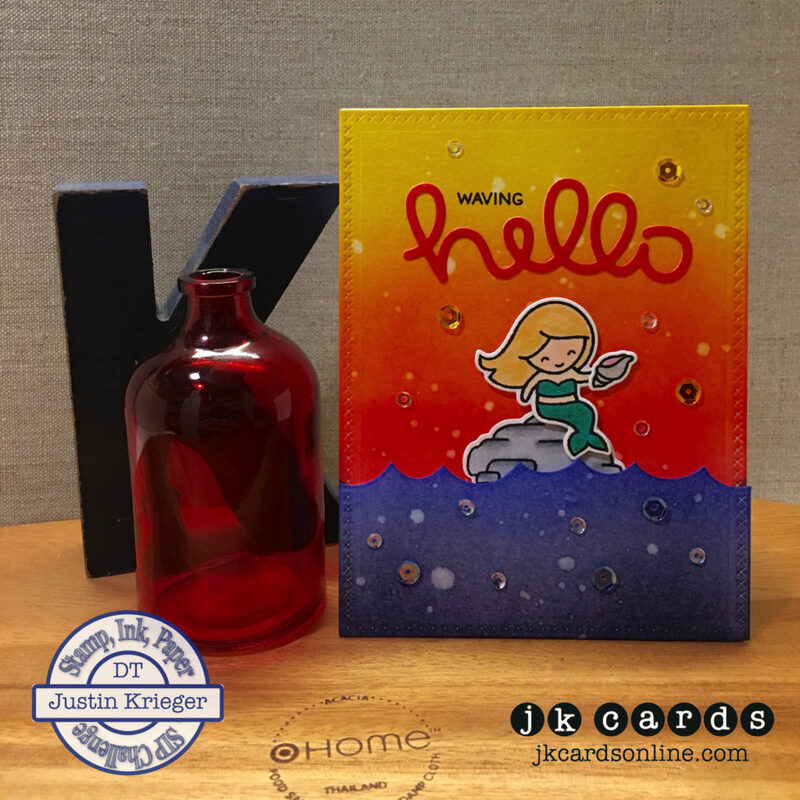 Home / Blog / SIP Challenge 51 – Sunsets! What a beautiful day it was here yesterday! The sun was shining and there was a nice breeze down by the Stamp, Ink, Paper Store! I got a lot accomplished too, love it when that happens! Renee had her Christmas Card Club and I finished up some preparations for Thursday’s Stamping 101 Class! I spoke to Andrea and Michael, always a pleasure! My lunch was salad again, I’m keeping up with my healthy eating so I can loose this lovely donut that has appeared around my waist! Gotta get bikini ready! LOL! Today I’ll be doing a little research to see what else I want to bring into the store, one of my favorite things to do! This entry was posted in Blog, Cards, Copic, Crafts, Embellishments, Lawn Fawn, Photopolymer, Ranger, Stamps, Tim Holtz and tagged Card Making, Crafts, Lawn Fawn, SIP Challenge. Bookmark the permalink. 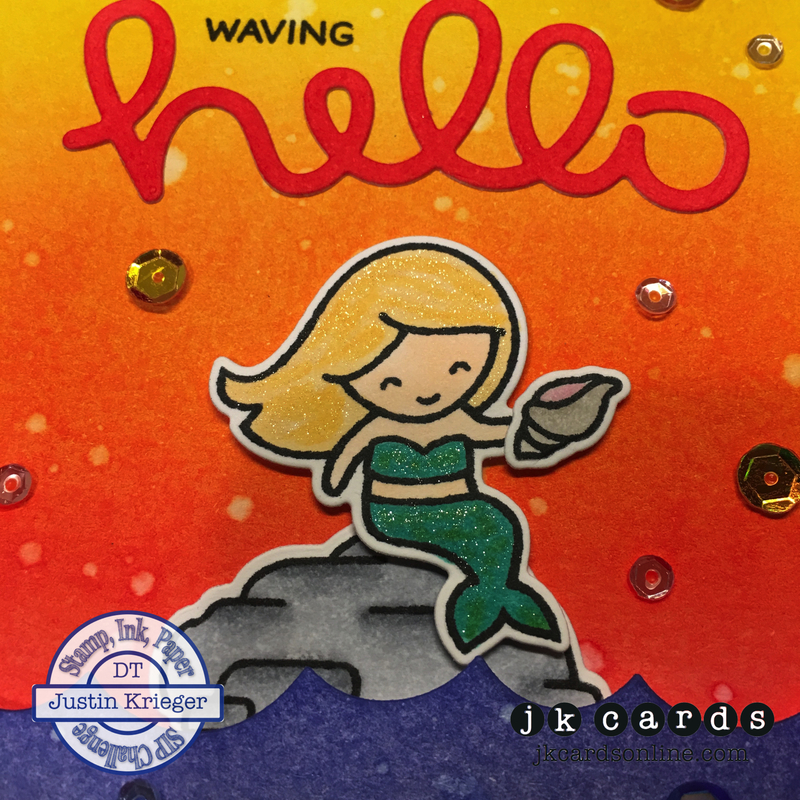 Justin this card is a WOW and I love that you’ve shared how to create this little beauty! Would you ever consider doing a video? I am very visual and would loveLoveLOVE to watch your creative process! I too love the blended backgrounds and your color combo for this one really pops it out. Bright colors, Wink of Stella, Cute Mermaid and Sequins. This card couldn’t be any brighter, better, more colorful or more welcome on a dreary, rainy Tuesday! Thanks for “brightening” up my Tuesday. Yes, you are absolutely right! Don’t laugh, I did think of you when I added the Wink! The Ink Blended backgrounds are my favorite! So much fun to make and I’m loving the nice bright skies over the blue! Glad that I could brighten up your day! Well you hit this one out of the park! I love your sunset and the deep colors of the ocean. Yep, I’d love to be on the pier also. Such a cute card!! Love the colors and techniques used! Cute, cute card, Justin. I love your coloring and making a scene seems to be the new “in” thing. As soon as I saw the inspiration for the challenge, I knew your card would be dazzling! I love beautiful sunsets. Take care. Hope your day is going great.